Can you visualize those crisp fall nights, grilling steaks and shrimp, with guests socializing under your Pergola while the gas Fire Pit warms up some good conversations? 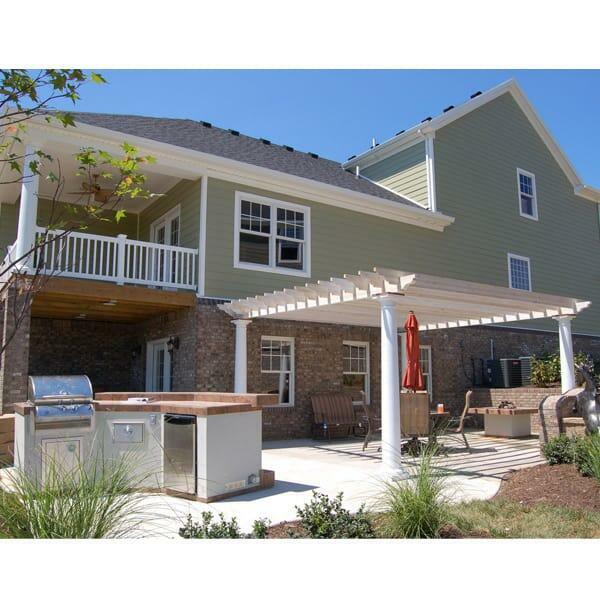 With the "Chin" Grill Island Project by Leisure Select you gain a Grill Island that overlooks your patio fire pit, covered by an elegant pergola that will impress any guest or visiting in-laws. This Outdoor Room can be customized to match your dreams and wishes, with different colors, shapes and sizes of the wood, stucco, tile and stone available. 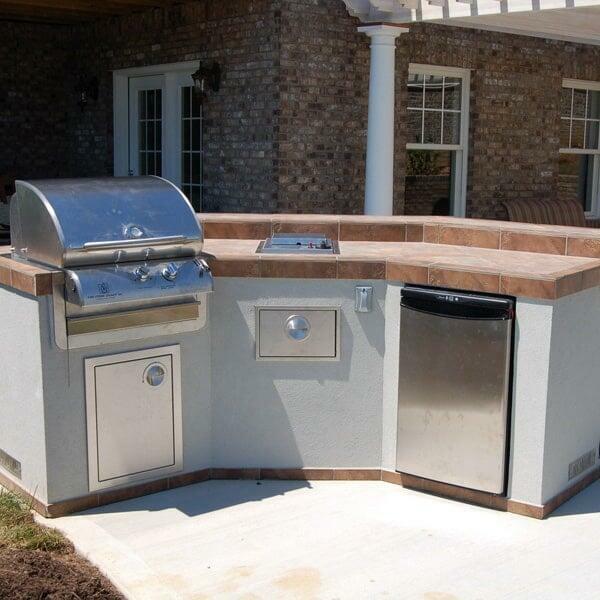 And this outdoor kitchen offers everything you need to spark great cookouts in your backyard, such as a built-in gas grill, refrigerator, storage and a 110v outlet. Add an outdoor room that will impress the entire neighborhood! Contact Family Leisure today and ask about the "Chin" Grill Island Project! Simply the Best in Outdoor Kitchens and Room. Outdoor Living Doesn't Get any Better!